To be made a state, a territory had to have 60,000 people living there. By 1818, Missouri had that amount of people and started to ask Congress to make it a state. Since many of the people living in Missouri came from Southern states, slavery was practiced here. This upset those in Congress against slavery. If Missouri was made a state it would become a “slave state” at a time when there was an equal balance of slave and free states in the Union. Missouri becoming a state would mean that there were more slave states than free states. Those free state members of Congress did not want those supporting slavery to have a majority. This caused Missouri not to become a state as quick as they wanted. Map depicting the borders of free and slave area with the Missouri Compromise. A Senator from Kentucky (where many Missourians came from), Henry Clay, suggested a plan to keep both sides of the slavery question happy. This plan, known as the Missouri Compromise, In Clay’s Missouri Compromise, a territory could join the Union as a slave state as long as another area was joining as a free state. This would keep the balance between free and slave states and members of Congress. When Missouri was wanting to become a state, part of Massachusetts wanted to become a state of its own as Maine. Maine would be a free state. This settled the concern of letting Missouri become a state. The president signed the order making Missouri a state on August 10, 1821. Missouri is the twenty-fourth state of the Union. 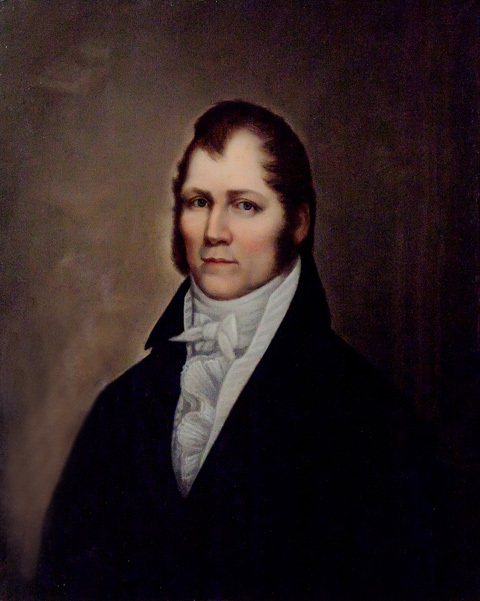 The voters of Missouri elected Alexander McNair to be the first state governor. Missouri's first capital in St. Charles. Missouri's first capital in Jefferson City. Missouri's second capital, built after the first was destroyed by fire. The first state capital was located in St. Charles, not far from the Missouri and Mississippi Rivers. 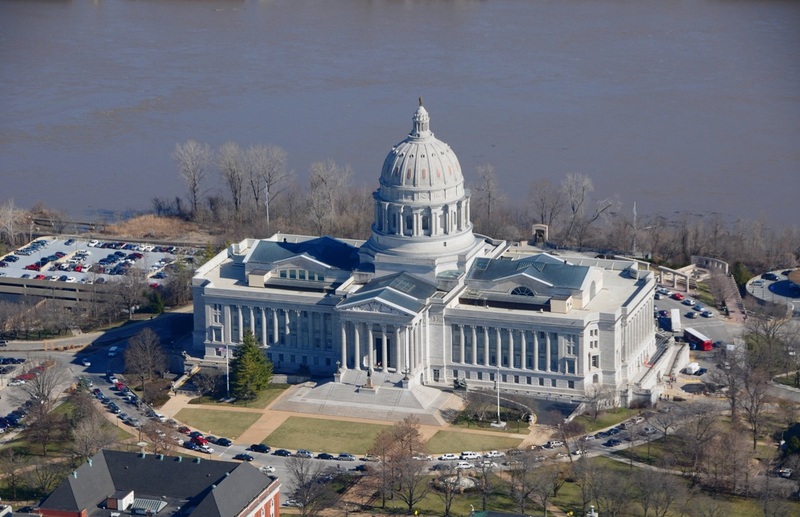 But Missouri’s leaders felt that the capital should be located more in the center of the state. This was even written into Missouri’s first constitution. The constitution said that the capital should be built on the Missouri River, within a day’s ride by horse from the mouth of the Osage River. A spot was decided on on the south side of the Missouri River in Cole County. The capital was named “Jefferson City” to honor Thomas Jefferson, the president that bought the Louisiana Purchase making the area of Missouri part of the United States. 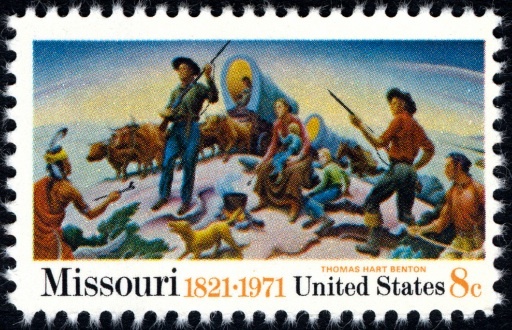 It became the capital of Missouri in 1826.